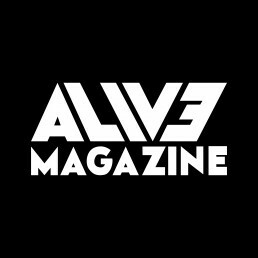 Alive Mag: With the impending departure of Chris, do you plan to bring in a new member or stick with a touring musician for a while? Greg Hall: Our good friend Brad Garcia (Vocalist, Guitarist from Safe To Say) will be joining as our new bassist. He’ll be doing double duty and playing in both bands. AM: What have you been getting up to during the day whilst on this tour? GH: Our usual day consists on waking up and having tea, then heading to Greggs or a Wetherspoons for breakfast. We love a good fry up. From there we make our way to the venue, there’s not too much downtime. We were lucky enough to visit the Durham Cathedral which was absolutely beautiful, and a couple of us got tattooed on our off day. AM: What is the funniest thing that has happened on the road? GH: So many to choose from! First thing that comes to mind as far as UK tours go, was back on our first time over here with Roam. We were drinking Stella, and I lost odds and had to get “Stella” tattooed on me. AM: Are there any collaborations you would like to organise? GH: At this time, we aren’t currently working on any collaborations. AM: Are there any tours or festivals that have been announced that you want to attend? GH: Slam Dunk is the best. We got to play last year, and we’d love to play in 2019. You can count on us attending the final Toronto stop of Warped Tour this summer. AM: Who would you most like to tour with? GH: I think collectively, we would all love to tour with a band like The Maine. They are just incredible live and we all love their records. I’m pretty sure I only missed their set a couple of times when we were on Warped Tour together in 2015, even if we were playing at similar times. AM: How does touring somewhere like the UK compare with other places? Where is your favourite place to tour? GH: Touring the UK isn’t too different from touring North America, however I feel like there is a slight difference in the overall vibe of the shows here. Kids seem to just be so excited to be here, and there are so many kids following the whole tour. It’s awesome. I’ve seen familiar faces in the crowd every night on this tour with As It Is. I would say the UK is my favourite place to tour currently, because it’s pretty much a glorified vacation, and we usually get the opportunity to play to tons of new people. AM: What is the writing process like for you guys? How does a track come together? GH: Everything usually starts with a riff from Luke or I. We’ll send it back and forth and then try and develop a verse and a chorus. From there we take it to Tay, our drummer and start to structure out the rest of the song. Jordan usually writes his vocals over a finished, structured song. This isn’t always the case, however it’s usually a good starting point for us. AM: With new material coming soon how does it compare with your current work? GH: Well, we just released the first single from the album, called “Sedatives”. I think it definitely sets the tone for the new record. It still sounds like LP, but there is a slightly more aggressive, heavier vibe while still staying true to our melodic, riffy norm. AM: What goals would you like to set yourselves and achieve within the next two years? GH: We just want to play as many shows as possible to as many people as possible; both new and old. That means travelling more and playing different countries. We’d love to hit Japan, Australia, and even Europe. We’ve been to the UK on three separate occasions now but have never crossed over to Europe.